Elizabeth Mayor and Kean adjunct professor J. Christian Bollwage and celebrity chef Tom Colicchio address the crowd at The 12th Annual Hunger: The Politics of Food conference on March 22. Hosted in Wilkins Theatre, the event welcomed several speakers ranging from philanthropists and volunteer farmers to celebrity chefs and politicians. Aiming to unite those with connections to students and members of the community, this international conference on human rights further examined what hunger is in our nation and ways society can help combat it. The event also celebrated philanthropists, educators and schools that contributed as outstanding human rights community activists. Mr. Franklin Stebbins of Arthur L. Johnson High School in Clark was accredited with the Dr. Hank Kaplowitz Outstanding Human Rights Educator Award for his contributions to Holocaust education throughout the state of New Jersey. 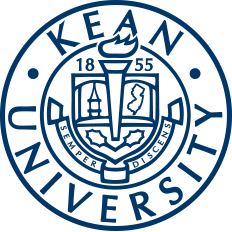 He is also a Kean University post-baccalaureate alum. Both celebrity chef Tom Colicchio and volunteer urban farmer Karen Washington were awarded with the Outstanding Human Rights Activist Award for contributions and volunteerism within their communities. Additionally, Kean alumna Lovely Randle was awarded as the Outstanding Human Rights Young Adult Activist of the Year for 2018. She is accredited for her contributions to helping end hunger in Elizabeth since her graduation from Kean in 2016. As for schools, Newark West Side High School was personally invited by the Human Rights Institute to attend the event as a show of gratitude for their contributions to the betterment of human rights education in their community. After the awards were distributed, Kean University President Dr. Dawood Farahi and Human Rights Institute Director Lauretta A. Farrell introduced the audience to the speakers for the morning. Registered environmental health specialist Lovely Randle was first to address the crowd, as she discussed in depth how to help combat Elizabeth's issue with a lack of access to healthy foods. "I'm from Elizabeth. It's my city, and I love it," Randle said. "I want to inspire change within my own community." Randle contributes daily to her cause through her position at the Union County Office of Health Management. In her downtime, she works as a freelance makeup artist and is a mother of two young children. "I want to inform and empower all generations to make health a priority. We must take action, and that starts in our own backyards," Randle said. Bronx-native and urban farming innovator Karen Washington took the stage next. Co-owner and farmer of Rise & Root Farm, Karen has been urban farming throughout New York City since 1985. Bronx-native and urban farming innovator Karen Washington advocates to the audience. Wanting to stress the need to become self-sustaining in an unforgiving environment, Washington stresses the need to embrace the urban farming movement. "My neighborhood, the Bronx, is last when it comes to income in New York state. Forty second out of 42," Washington said. "The land of milk and honey has now become the land of greed and money. Those that don't have a slice must learn to adapt." Voted in 2012 by Ebony Magazine as one of the 100 most influential African Americans in the country, she currently spends her time volunteering and educating communities across New York City about the necessity of learning to farm. "It's time we changed the game. Let's not just advocate, but create," Washington said. After Washington fielded questions from the audience, the final two speakers were ready to address those in attendance. 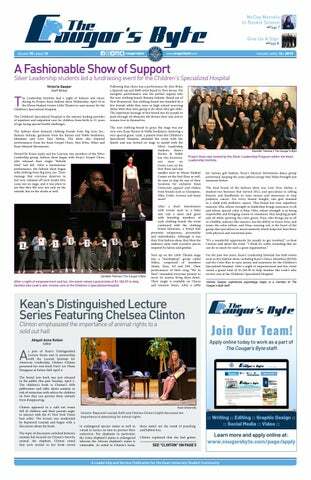 Mayor of Elizabeth and Kean adjunct professor J. Christian Bollwage and celebrity chef Tom Colicchio closed the event with a Q&A style forum, fielding ideas and comments on how to better help those in need within Elizabeth and its surrounding communities. "I've been mayor of this wonderful city of Elizabeth for 26 years. We need to continue to adapt to help those in need and band together as a community," Bollwage said when asked about the basic approach needed to help combat Elizabeth's nearly 30 percent poverty rate. "People like Mayor Bollwage can only do so much," Colicchio said. "The community needs to produce a list of needs, and those needs need to be voiced to someone who can do something about it." "Resources are everything," Bollwage said. Students, especially those from Elizabeth, were happy to ask questions and engage in discussion with the two speakers. After about 20 minutes of discussion, the event concluded, leaving those in attendance with much to think about and many resources to now exasperate. "Events like these empower students at a school like Kean. It was a pleasure to come back and help spread awareness and potentially inspire," Lovely Randle said. The Human Rights Institute will look forward to the event's 13th rendition next year, as they strive to find sustainable ways to manage hunger and educate the next generation to help combat and eventually eliminate it.